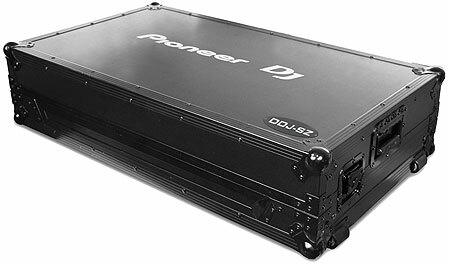 Pioneer DJ now offers the best way to transport and protect the extremely popular DDJ-SZ controller with its new DJC-FLTSZ "Black Label" Signature Series ATA Flight Case. 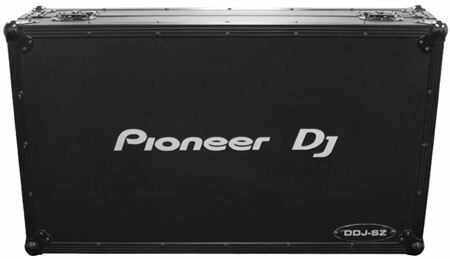 Made by Odyssey®, the leading manufacturer of flight cases for DJ and pro audio equipment, the DJC-FLTSZ is Pioneer DJ-branded and customized for a perfect fit, keeping the DDJ-SZ well-secured and preventing it from moving around while being transported between venues and gigs. 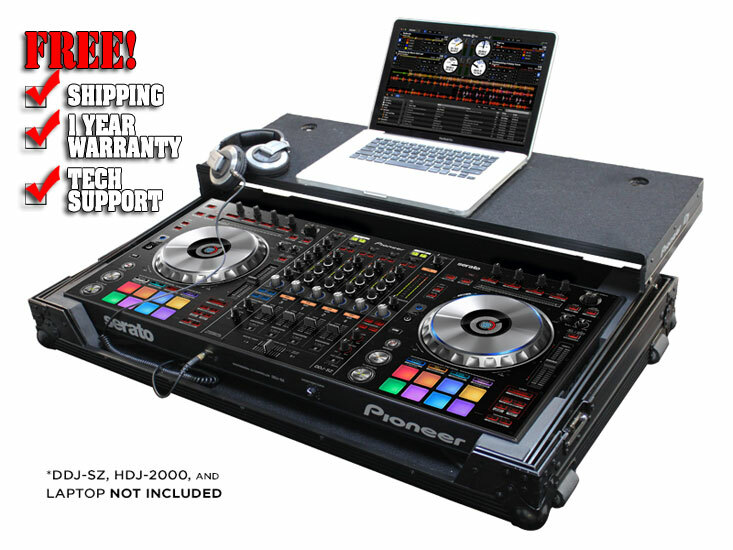 The case is also designed so the DDJ-SZ can be used while in the case, with a removable V-Cut front panel for easy access to its front controls and headphone/microphone jacks. Furthermore, the DJC-FLTSZ features a spacious ventilation pit area under the controller which doubles as storage for additional cables and other small accessories. The DJC-FLTSZ offers the ultimate protection, utilizing 3/8-inch thick plywood and heavy-duty metal framing for extreme durability. The inside compartment is lined with black carpeting and uses specially shaped high-density foam that grips the controller and provides added protection. The beveled foam interior is angled to raise the controller slightly upward for easy access to controls. As a "performance" case, the DJC-FLTSZ features Odyssey's patented Glide Style™ that lets the top protective panel double as a laptop platform. 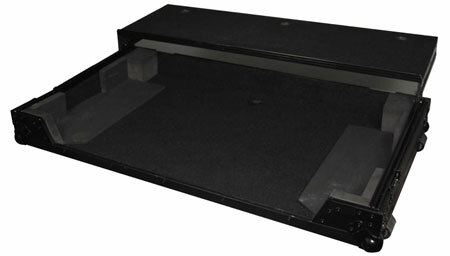 When fully closed, the case measure at 38.07" (W) x 8.66" (H) x 21.65" (D) and weighs approximately 41 pounds. Two bottom rollers and sturdy handles on the opposite side enable the case to be easily moved around.